Empowering Women of Nepal (EWN) is a local non-profit company, based in Pokhara, which aims to improve the lives of Nepali women through adventure tourism. It was founded by three Nepali sisters, Lucky, Dicky and Nicky Chhetri, who were pioneers in the promotion of female trekking guides in the Himalayas, and was registered in 1999 under Nepal’s Social Organization Act 2034. The Chhetri sisters also founded 3 Sisters Adventure Trekking to work in partnership with EWN in promoting and empowering women through adventure tourism. Together, we offer practical skill-based training programs free of cost to the trainees. The training is designed to extend educational, employment, and entrepreneurial opportunities to disadvantaged women from all over Nepal, and can be followed by a six-month paid apprenticeship scheme. 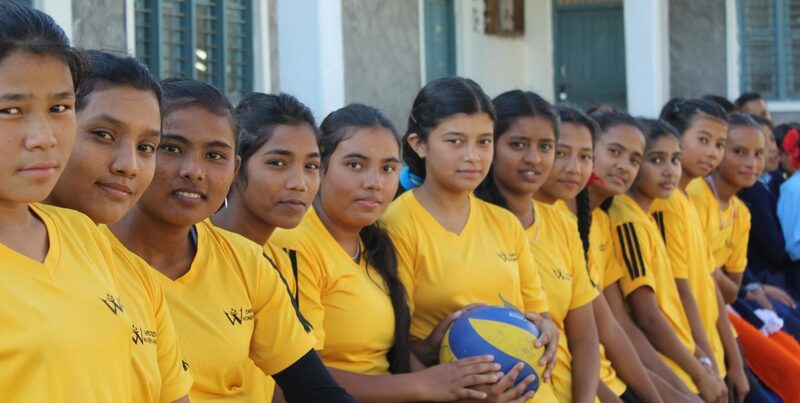 March 23rd 2019, Empowering Women of Nepal (EWN) organized 3rd Inter School Volley Ball Competition where participants were from 5 different schools: Janapriya, Navaprabhat, Rameshwari, Shree krishna and Barahi Secondary School. Certificates were distributed to all players who participated and trophy were given to top 3 winners Janapriya Secondery School first, Barahi Secondary School second, and Rameshwory Secondary School third with medals . Likewise Token of love were given to Chief Guest, Best spiker, Best player, Best Server, Best defender, Referees and Officials. We are very thankful to all players, teachers, coach, board members, donors and partners. Congratulations to all participants of Mahendra Secondary School who successfully completed the Girls Get STEM (Science, Technology, Engineering and Mathematics) Skills. And thank you to the school team and three school teachers who took the STEM session with dedication and commitment. Big thanks to program donor Women Win-NoVo foundation. On 2075/10/29 Tuesday, Three Sisters Foundation released a book “We three sisters” written by sisters Lucky, Dicky and Nicky karki. The book opening was at the annual funeral ceremony which shared their heartfelt condolence and dedication to their memorable, adorable mother Lila Maya Karki.